All-in-one text messaging and calling software proven to get you fast results! Build your list using "text-to-join" mobile keywords, webforms, our integration partners with ease. Send mass texts, appointment reminders, send coupons, create SMS contests, and setup voice & SMS autoresponders to drive sales. We make automated calling and voice broadcasting easy. Just record a voice message, set your send day and time, and we'll deliver it to a few, a couple hundreds, or tens of thousands of contacts in minutes. Send thousands of messages straight to voicemail in minutes. Create your ringless voicemail audio message, upload your contacts, and send it directly to your contacts voicemail without actually ringing their phone. With our built-in analytics, you can find out in seconds how your text messages and voice broadcasts are performing. With a glance, you can see who picked up, who didn't, even track clicks from your texts. Start building your list in just a few minutes. Import contacts, get an SMS keyword for easy lead generation, collects leads from your website, blog, or Facebook fan-page using webforms. We provide you unlimited contacts. Analytics, audio management, autoresponders, contact management, delivery reports, marketing automation, SMS triggers, SMS broadcasts, short codes, SMS contests & coupons, voice broadcasts, and a whole lot more. Organizations of various sizes can use the software to setup SMS and voice auto responders for better sales and customer satisfaction. The voice broadcasting features make automated calling easier. Saving users from all the manual work and helping them stay more productive. Features including voice recognition, scheduling and customized called ID are also part of the package and add even more value. Analytics features provide a deep insight into performance of SMS and voice broadcasts and help users quickly see which calls were picked up and who clicked from texts. 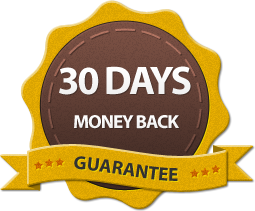 Call Loop also guarantees 100% delivery success rate and provides a money back guarantee. It only charges for messages that have been delivered successfully. Ability to integrate with a variety of software makes an already powerful package even more cost-effective.